The Private Security Camera Rebate Program, administered by the Office of Victim Services and Justice Grants (OVSJG), creates a rebate for residents, businesses, nonprofits, and religious institutions to purchase and install security camera systems on their property and register them with the Metropolitan Police Department (MPD). The program provides a rebate of up to $200 per camera, with a maximum rebate of up to $500 per residential address (e.g., home offices, condo buildings, and apartments) and $750 for all other addresses. The rebate is exclusively for the cost of the camera(s) including any applicable tax. The rebate does not include installation, additional storage, accessories, or any cameras that are purchased but not installed on the exterior of the property. 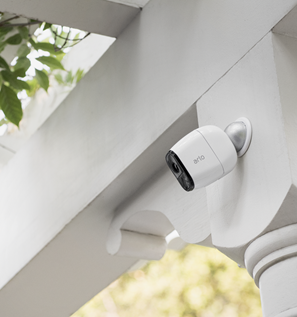 Rebates will be given only for the cameras that are installed on the exterior of the property (i.e., if you purchase four cameras for $500 but install only three on outside, you are eligible to receive $375 ($125 per camera). Additionally, If you have purchased your camera system on an installment plan, submit your application when it is paid in full. This program is intended to help deter crime and assist law enforcement with investigations. Please review the following information and if you have additional questions, please contact the program at security.cameras@dc.gov or 202-727-5124. There is a similar program for eligible seniors administered by the DC Office of Aging that provides vouchers to have cameras installed. For more information on that program, call 202-727-5124. Step 2: Register your camera system with MPD at http://mpdc.dc.gov/securitycameraregistration/. After completing this form you will receive an e-mail confirmation with a log number; please save this email as you will need to submit it as part of your application. a) The PSA of the property address which can be found at: http://geospatial.dcgis.dc.gov/PSAFinder. b) Proof of purchase of the camera system that includes the number of cameras purchased, cost per camera, and proof that the system has been paid for. Do not submit your application until the cameras are installed on the property and registered with the Metropolitan Police Department (MPD).